As reported by Business Times on 08/02/12, The local oil and gas industry is expected to far better in 2012 compared to last year, with the development of marginal oilfields and enhanced oil recovery (EOR) likely to continue and given due attention. OSK Research said more brownfield services jobs worth between RM3 billion and RM4 billion are projected to be awarded to local oil and gas services providers this year. "We also expect Petronas to award new marginal oilfields in 2012," said Jason Yap, an analyst with OSK Research who track oil and gas stocks. Given their strong financial asset backing and job experiences, he said Kencana Petroleum Bhd and SapuraCrest Petroleum Bhd, which are in the midst of consolidation, are the likely candidates to secure licences to develop the new marginal oilfields. The two companies, together with Petrofac of Britain, were the first recipient of the newly introduced risk service contract (RSC) licence to develop the Berantai oilfield offshore Peninsular Malaysia, as announced in January last year. Kencana Petroleum and SapuraCrest Petroleum are on the verge of a merger, slated to be concluded in the first quarter of this year. In August last year, Petronas also awarded the RSC licence to a group comprising Dialog Group Bhd, Australia-listed ROC Oil and its exploration and production arm, Petronas Carigali Sdn Bhd, to develop the Balai cluster oilfield offshore Sarawak. "These fields are fast-track projects that are expected to commence oil and gas production in one or two years versus the more sophisticated deepwater fields, which may take three to five years to kick start," said Yap. Going forward, there are numerous opportunities as Petronas intends to develop about 25 per cent of the 100 remaining marginal oil and gas fields identified. 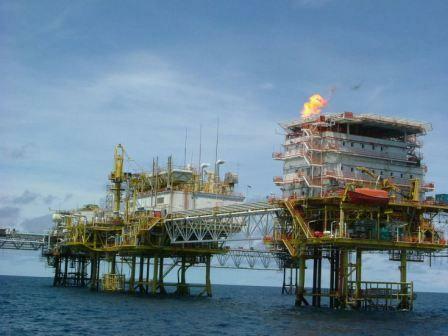 Reuters reported recently that Malaysia was expected to award at least four to five licences to develop smaller fields in 2012 as the country looke to halt a decline in crude oil and natural gas production. Quoting a senior official at the Performance Management and Delivery Unit (Pemandu), the news report said the government has been developing deepwater fields, rejuvenating old areas, and introducing incentives to develop so-called marginal fields once deemed less profitable to explore in a bid to increase output as global energy use climbs. "Our production is declining and so we want to find more oil to maintain that production level. What we want to do is maintain our production at 650,000 barrels per day (bpd)," the official said. Crude oill output in Southeast Asia's second-biggest oil and gas producer is seen rising 3.3 per cent in 2012, reversing a decline in 2011, the government forecast in its economic report prior to the 2012 Budget presentation at Parliament in October last year. Oil production is expected to recover to 620,000 bpd, after an estimated six per cent drop in 2011 to 600,000 bpd, extending a 3.1 per cent decline in 2010, according to the estimate. However, the industry continues to look bright, given the fact that Petronas has pledged to spend RM300 billion as its capital expenditure over the next few years. Among the many domestic developments initiated from Petronas's increased spending programme are the RM15 billion fast-track project to develop gas reserves from a cluster of fields in the North Malay Basin, off Peninsular Malaysia. "This is expected to translate into another round of fresh contracts soon," another local research house, AmResearch Sdn Bhd said. Analysts are also saying that despite the possible second dip in recession this year, the impact would be minimal. "There will definitely be some negative impact. "However, it may not be as serious as before since the industry has not fully recovered to its peak days," an analyst said. On the local stock market front, investors and punters can look forward to the listing of a merger entity between SapuraCrest Petroleum Bhd and Kencana Petroleum Bhd called SapuraCrest Kencana Petroleum next month. "Then probably, there would be merger and acquisition among the oil and gas services providers," an analyst said.